The Motorhome & Caravan Show always has so much to offer, and with Children aged 15 and under go free, it s a great day out for the family! Whilst we know you'll be so excited to pop by our stand to pick up free goodies and find out about our products, we've put together a short list of the great things going on at the show! Head to the Motorhome & Caravan Show website to book your session now! Cooking whilst your camping may seem restrictive and you may think you're stuck to the same one pot meals all the time. But there is going to be plenty of live guests showing you what great meals you can make for you and your family even from the comfort of your motorhome kitchen! Along with all the great Stands exhibiting at the show, you'll have a chance to be part of the biggest products launches everyday at the show! With live launches from Bailey, Swift and other Big names! Head over to the Motorhome & Caravan Show website to find out more. We're going to be giving away a free caravan mover whilst at the Show. 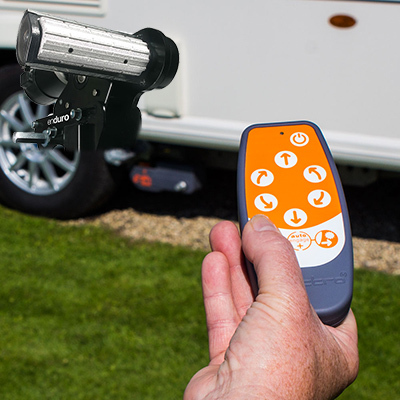 It's easy to enter to win just complete our questionnaire on the link below and you'll be in with a chance of winning a Purple Line Enduro Caravan Mover!